The Obafemi Awolowo University, OAU Academic calendar for Harmattan and Rain Semester, 2018/2019 academic session has been approved by the school senate and published online. Also, the e-portal will be opened for registration for courses on 4th March, 2019. The management of Obafemi Awolowo University, Ile-Ife have approved and released the academic calendar for the 2018/19 academic session. Update: OAU Adjusted Academic Calendar for the 2018/2019 Session has been approved by the senate and published online. 6. Vacation: 5th August, 2019- 23rd August, 2019=3 weeks. 5. Examination Period: 2nd December, 2019-23rd December, 2019=3weeks. 6. Vacation: 23rd December, 2019-14th February, 2020=6 weeks. 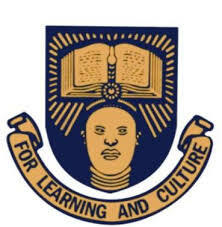 Recent entry: UNIBEN Academic Calendar.